WHO OWNS THE EMAIL INBOX? This question came up during a recent panel discussion on deliverability at Salesforce Connections and interestingly each of the three panelists had a different answer. The first said, Senders own the inbox. The second, Subscribers. And the third, Inbox Providers. We were intrigued, so we asked the Litmus community what they thought. They came down heavily on the side of subscribers, with inbox providers in second place, and senders in a distant third place. We think that breakdown is a great representation of the ownership of the email inbox, which is shared space. While the format of an email address—Subscriber@InboxProvider.com—tells you who’s in charge, it’s undeniable that all three parties have an important role to play in the inbox and that each have their own kind of control. Subscribers control permission, which is the foundation of email marketing. And armed by inbox providers with the “report spam” button, subscribers are able to enforce that permission. If a subscriber doesn’t want you in their inbox, they can permanently boot you with a single click. Respectful. Marketers need to secure permission properly, set the right expectations, and honor unsubscribe requests quickly. Functional. Marketers need to send emails that are legible and render appropriately across all email clients and devices, have links that work and connect with appropriate landing pages, and otherwise live up to their quality assurance expectations. Valuable. 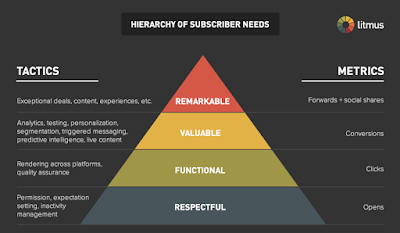 Marketers need to deliver content that subscribers want. Thankfully, brands have many tools at their disposal, including personalization, dynamic content, triggered messaging, predictive intelligence, and good old A/B testing. Remarkable. And lastly, marketers need to create emails that are (at least occasionally) worth sharing and talking about. We sum all of this up—along with how marketers can measure how they’re doing—in our Hierarchy of Subscriber Needs chart from The Viral Email report. One of the main jobs of inbox providers is to protect their users from spam—everything from the traditional malicious spam to the nouveau “I no longer want it so it’s spam” spam. If you tick off too many of an inbox provider’s users or don’t follow the rules of being a good sender, then an inbox provider can junk or block all of your emails to their users. Send to email addresses that don’t hard bounce. 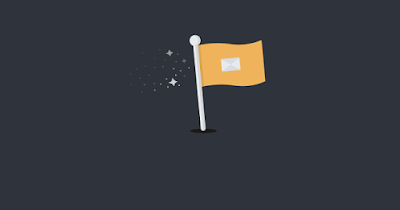 Marketers need to have permission practices and list building processes that minimize hard bounces, which occur when the inbox provider doesn’t recognize the email address. Your hard bounce rate, which you generally want to keep under 2%, is also called an unknown user rate. Validating new email addresses and practicing good list hygiene can keep hard bounce rates low. And, of course, you should immediately stop mailing any email address that hard bounces. Build email lists that don’t contain spam traps. Buying email lists and harvesting email addresses off websites is the easiest way to get pristine spam traps on your mail list. And mailing email addresses that you haven’t sent anything to in a long time or that haven’t engaged with any of your emails in a long time can result in hitting a recycled spam trap. Spam traps on your list can potentially cause you serious deliverability issues, so avoid the dangers of spam traps by sticking with traditional organic list building approaches and not emailing old addresses. Not email inactive subscribers. Putting aside the dangers of recycled spam traps, inbox providers like to see their users engaging with a sender’s emails, not just tolerating them by not marking them as spam. Marketers should have strategies in place to manage the various kinds of inactive subscribers to ensure their deliverability doesn’t suffer. Authenticate your email. Authentication helps inbox providers identify which email is actually from you and which email is being sent by spammers, phishers, and others pretending to be you. Marketers should be authenticating their email using both SPF and DKIM. Additionally, senders should also be setting a DMARC signing policy on how to handle unauthenticated email sent from their domain. A lack of authentication can definitely impact your deliverability. For more on what individual inbox providers require, check out the guidelines posted by Gmail, Outlook.com, Yahoo, and AOL. 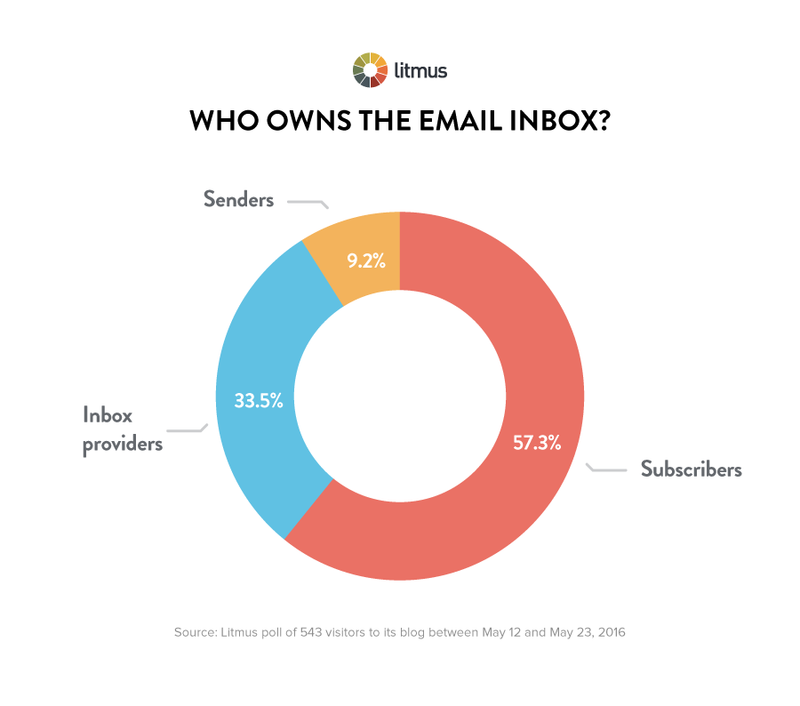 Senders don’t have direct ownership of the inbox in the same way that subscribers and inbox providers do. However, they do completely own their behavior, which directly affects how well they are received in the inbox by subscribers and inbox providers. If marketers follow the rules laid out by inbox providers and do their best to send functional, valuable, and occasionally remarkable emails to subscribers who want them, then there’s no reason they can’t enjoy deliverability rates north of 99%. And having stellar deliverability is kind of like owning the inbox. #DIGITAL: Who Owns the Email Inbox: Subscribers, Inbox Providers, or Senders?